[ Charles Robert Cockerell, architect, archaeologist, and author. ] 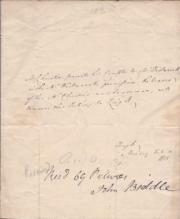 Two Autograph Letters Signed (both 'C. R. Cockerell') to the connoisseur Henry Smedley, one regarding a paper he has read regarding 'the works of Phidéas'. Neither with place or date. One 'Saturday -' and the other 'Monday'. See Cockerell's entry in the Oxford DNB, and Smedley's obituary in the Gentleman's Magazine, April 1832. The two letters are in good condition, on lightly aged and worn paper. Each letter is of 1p., 12mo. On bifoliums addressed to Smedley at Broad Sanctuary on reverse of second leaf. ONE: 'Monday'. 1p., 12mo. Indistinct seal of head in red wax. Begins: 'My Dear Smedley. 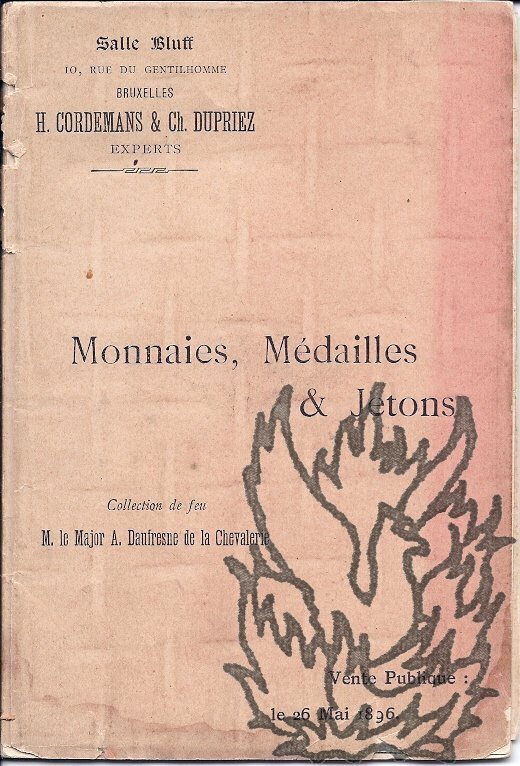 | You will hear with pleasure that I read my MS: on Saturday; no dissent cast but G. B. who has started a doubt as to this being the works of Phidéas.' He is going out of own for a week and hopes to see Smedley on his return. [ George Baker, connoisseur. ] Part of Autograph Letter Signed ('Geoe. Baker'), to his bookseller, regarding a set off periodicals. 'No. 2 St Paul's Ch. Yard'. No year. On 8.5 x 16.5 piece of paper, cut from the conclusion to a letter. In fair condition, on aged and worn paper, laid down on a larger piece. He asks the recipient to 'make these Numbers perfect from the Waste', and gives instructions in case it cannot be done. For more about Baker see his obituary in the Gentleman's Magazine, February 1811. Manuscript copy of letter from William Lock to Alexander Murray, complaining from Italy about the result of the sale of his books and prints, discussing his estate, and planning the sale by Sotheby of his own paintings and those of Henry Fuseli. 2 June 1821. Florence, Casa Quaratesi, Piazza Ognissanti. 1p., 4to. Neatly written out in a contemporary hand (presumably the recipient's), with 'Copy' at the head. In very good condition, on lightly-aged laid paper with watermark of 'W D WELLS'. Signature transcribed as 'Wm. Lock'. 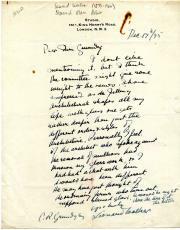 Lock has just received Murray's letter of 18 May, 'giving me an Account of the Sales of my Books and Prints which is so much below what I had reason to expect, that I must beg you to apply only One thousand to the Payment of my Debt to my Fathers Executors'. Autograph Note in the third person from the London auctioneer James Christie to the journalist Charles Molloy Westmacott, with signed receipt by Christie's warehouseman John Biddle for '69 Pictures'. King Street; 14 February 1825. 1 p, 4to. On a bifolium, addressed on reverse of second leaf: 'Thursday at 11 O'Clock | Chas. Westmacott, Esqr., | 5, Clements Inn.' Fair, on creased and aged paper. Christie's note reads 'Mr Christie presents his Compts. to Mr. Westmacott. | with Mr. Westmacott's permission, the bearer of this Mr. Christie's warehouseman, will remove the Pictures to King St. | King St, | Monday Feb. 14 | 1825.' Beneath this, in another hand, Recd 69 Pictures | [signed] John Biddle'. Above Biddle's receipt, in a third hand, are the word 'Received' and 'Recd 69 [i.e. Christie & Manson?]' in pencil. 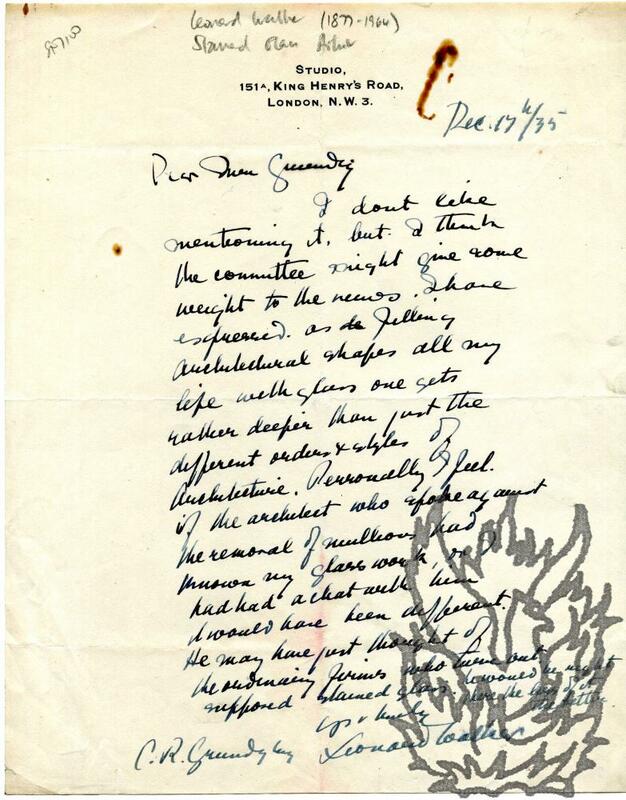 Autograph Letter Signed ('Thos. H. Wyatt') to the connoisseur and print collector the Rev. Charles Henry Middleton (1828-1915); with manuscript 'resolution'. 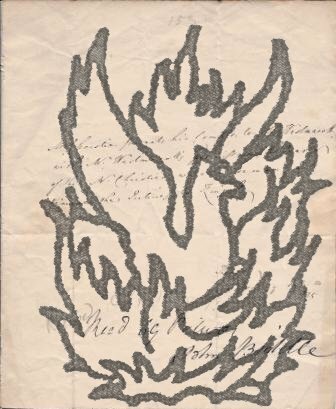 19 May 1881; on embossed letterhead of the Art Students' Home, 4 & 5 Brunswick Square, London W.C.
12mo, 2 pp, letter of 8 lines, resolution of 9 lines. Good, on lightly spotted paper with small pin holes to top inner corner. He is appending 'a copy of a resolution agreed to at a Meeting of Committee held this afternoon at No 1 Station St., the Baroness Burdett-Coutts presiding'. The resolution, on the recto of the second leaf of the bifolium, thanks Middleton, 'for services rendered to the Art Student Home, & for the constant interest he has displayed in advancing its welfare'. Autographs [Reprinted from The Concise Encyclopaedia of Antiques Volume IV by kind permission of The Connoisseur]. London: Winifred A. Myers (Autographs) Ltd, 80 New Bond Street, W1. 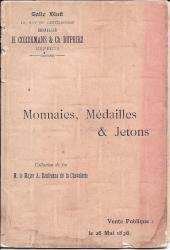 [c.1954]. Quarto: 10 pp (paginated 236-41). Stapled. In original printed green card wraps. Good, though lightly creased. Five plates, examples of the hands of Queen Elizabeth I, Sir John Harington, Admiral Lord Nelson, together with an original and a faked Burns letter. While the offprint is undated, the Encyclopaedia itself was published in 1954. London: Chatto & Windus. 1911. Octavo. Pages: ix + 339. Frontispiece and eight plates (including three of London's Caledonian Market). Nine fold-out 'Charts or Tables'. Good, tight copy in original blue cloth gilt, with small stain at head of rear back board and another on gilt top edge. Includes sections on 'The ignorance of dealers and collectors', 'The curiosities of the curiosity-shops', 'Thefts in the art world', 'The tricks of dealers and collectors' and 'The "Knock-out" and other customs of the sale-room'. Vulliamy (1780-1854) was a London clockmaker. Allnutt (1773-1863) was a wealthy wine merchant, a patron of Constable and Turner with a noted collection of paintings. Reads 'B L Vulliamy | Jn Allnutt, Clapham | 28 Nov. 1843'. From a collection of material relating to the Artists' General Benevolent Fund.